TORONTO - The chief executive of Canadian Imperial Bank of Commerce says he expects overall mortgage growth in the country to be flat or in the low-single digits for the "foreseeable future." Victor Dodig says the potential for mortgage growth to turn negative will hinge on whether the Canadian housing market takes a negative turn, driven by other macroeconomic factors. The CIBC chief's comments at the RBC Capital Markets Banking CEO conference today come after the Canadian Real Estate Association said national home sales are projected to fall to a near-decade low this year. CREA last month said rising interest rates and strict mortgage stress-test rules continue to weigh on homebuyer sentiment. Toronto-Dominion Bank chief executive Bharat Masrani told the conference today that he expects mortgage growth in the mid-single digits for 2019. 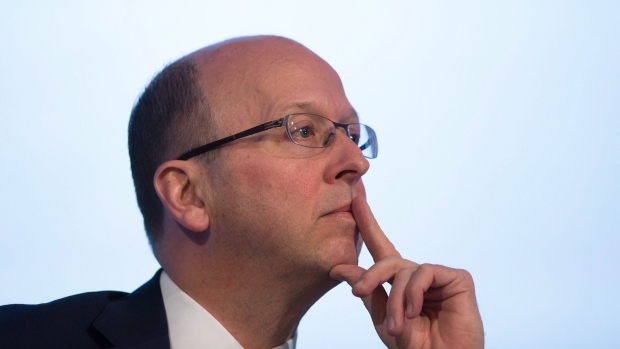 Scotiabank's CEO Brian Porter says that mortgage activity in the first couple months has been "quite strong," but it remains to be seen what will happen during the crucial spring real estate season.